A Page Is Turned: Florida Caverns! Summer is HALF OVER. James goes back to school on August 2nd, I have teacher meetings starting on August 3rd, and mine and Will's school starts back on August 15th. Mercy. Although, after Will's temper tantrums this morning I might be ready to send at least ONE of my kids back to school. Two Monday mornings ago we headed out bright and early on an adventure to Florida! 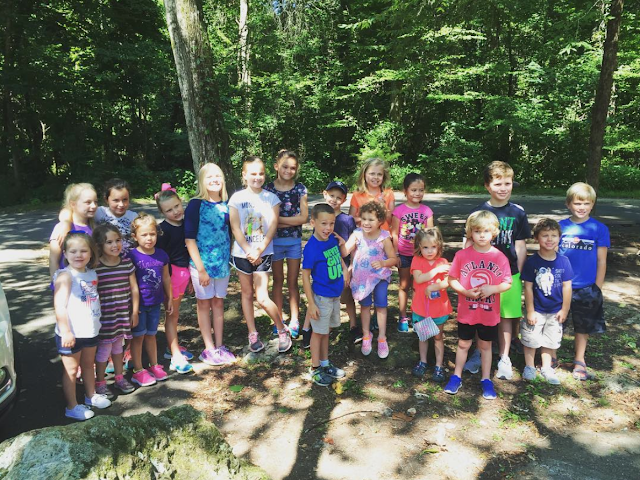 Our church has several day trips planned each summer and we REALLY enjoy going on them. 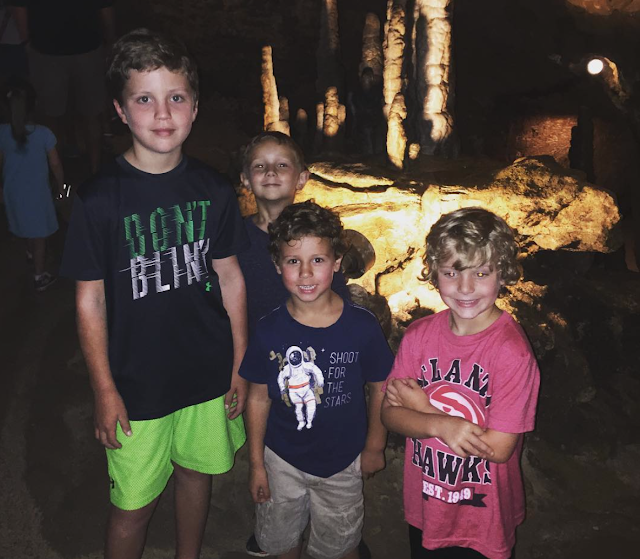 Because our Bible School theme this year was Cave Quest, one of our trips was to Mariana, Florida, to Florida Caverns State Park! We'd never been before so we jumped on the opportunity. We even convinced Eddie to take the day off and join us! Yippee! We went straight to the Visitors' Center when we arrived at the park. Our fearless leader secured us a tour time and we had a picnic lunch while we waited. This is probably a set-up like other state parks, but I will mention it anyway. Tickets for the cavern tours were handed out first come, first served. They take a maximum of 25 people per trip and WE were told you couldn't reserve them in advance. There was a blurb on their website that said that groups of 25 COULD reserve them in advance, but they weren't all that friendly to us and wouldn't let us do that. Anyway, we left early enough to get down there with plenty of time left in the day. The thing is, you could arrive at 11:30 AM and find that the only tickets available are on the 4 PM tour. You just don't know. We lucked up (and had a time difference working for us! we arrived and had gone back an hour and didn't realize it!) and secured a tour at 10:45 and one at 11:30. The caves were AMAZING. I've been in caves before, but obviously every place is going to be a little different. I did, unfortunately, have a mild panic attack while we were down there. You go down a set of stairs and into the caves and they shut the door behind you. I think that is the only reason I got worked up - the closed door. Our guide didn't tell us that their are exits all along the way. That might have helped. I was nauseated and had a hard time breathing the whole time. The whole tour is 45 minutes long. They DO turn the lights off at one point (our guide only flipped them off and back on but the other group's guide turned them off for a few minutes) so be prepared for that. Overall, it was a really, really neat experience that the boys liked a lot. 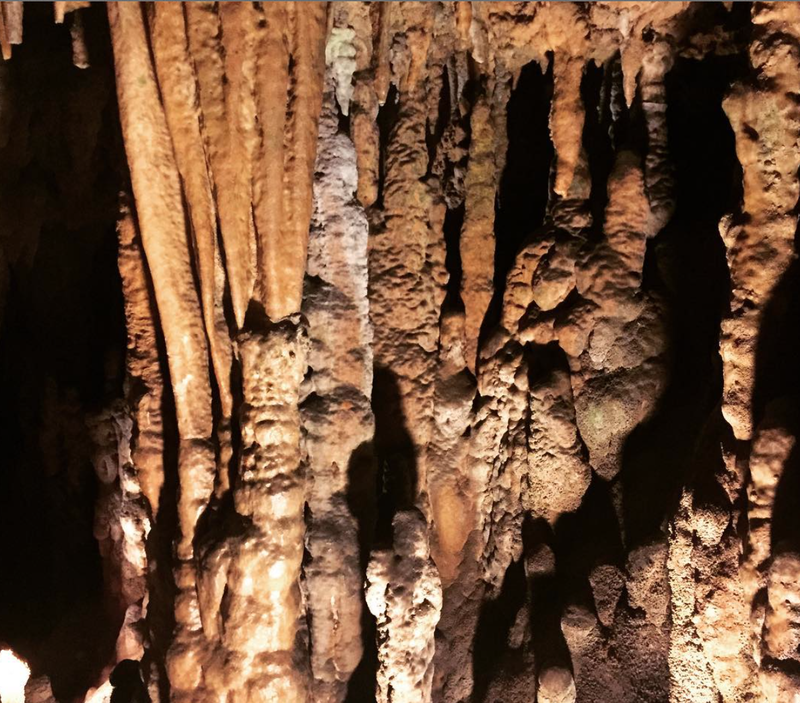 There's more to do than just the caverns at the park, but we only did that and then left. Because we had such a large group (there were 35 of us!) we had a little waiting for the other group to do their tour so it was early afternoon and we were three hours from home. 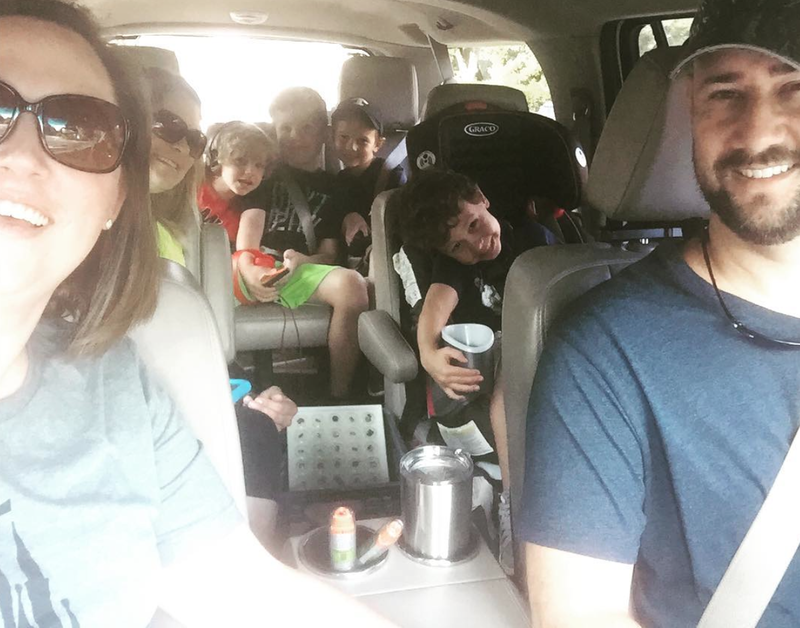 We loaded up our crew and headed to Tallahassee after we finished so that Eddie and I could return the TV I got for Mother's Day (a smart TV for the kitchen so I can Netflix and cook). It worked for a few weeks and then conked out. Just so you know, even if your TV breaks, Best Buy will only give you store credit for it. While we were in Tallahassee, we stopped for a snack at Chick-fil-A and we enjoyed all of the garnet and gold. 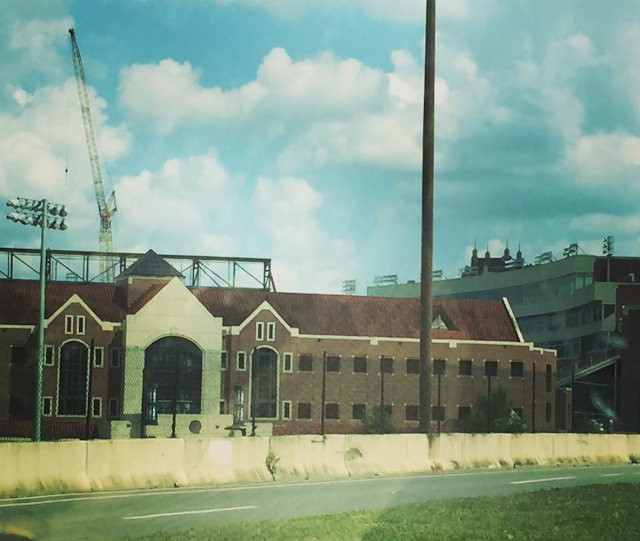 :) Eddie also insisted that we drive past the stadium that is undergoing what appeared to be a MAJOR renovation! Fun fact about us: We're a house divided, but not really. My very first college game experiences were at Florida State. We went to several games at FSU when I was young (and we have a hilarious story about an inebriated person trying to climb in my mama's van after a game...Mom didn't think it was hilarious at the time). Eddie was a BIG Florida State fan during the Bobby Bowden years and still claims FSU as "his" team. I pulled him over to Georgia during my years there, but he still has an FSU tag on his truck. So we're a house-divided...sort of. Thank GOODNESS he isn't a Florida fan. I'm not sure I would've dated him. Lol! 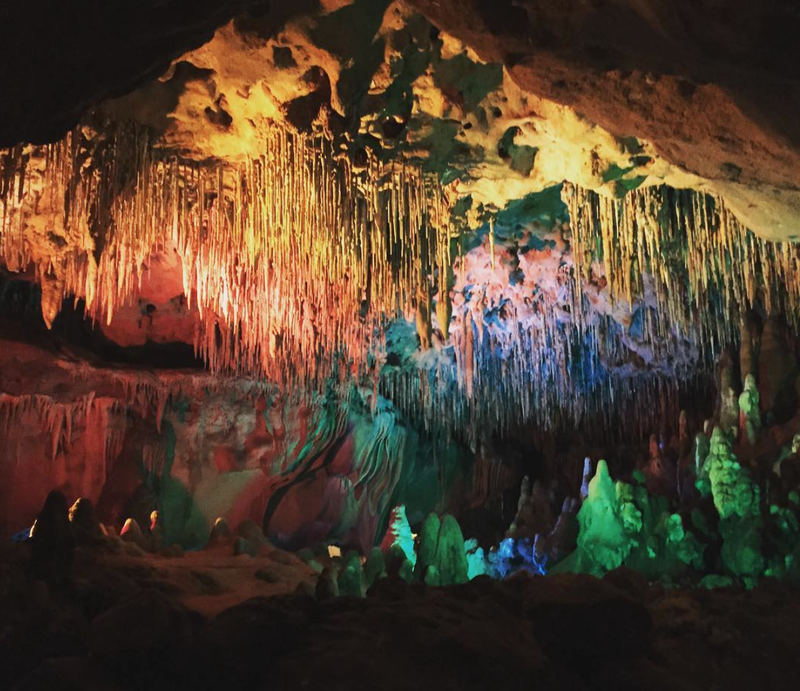 Our trip to Florida State Caverns was a fun one! It's worth the trip if you happen to be nearby!